We are pleased to announce our new partnership with OptionsPlay to bring you exclusive options education and actionable trading ideas and content. 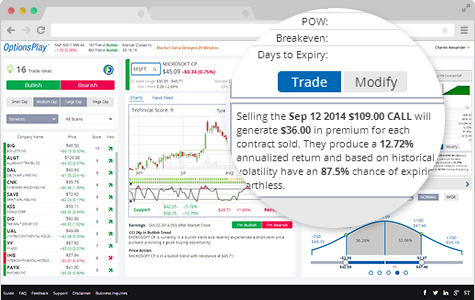 Over the coming months you will have access to free education to help you learn basic and advanced option strategies in a new intuitive format. Unbiased historical analysis of thousands of stocks every day, searching for technical buy and sell signals. OptionsPlay helps you find the investment that's right for you. 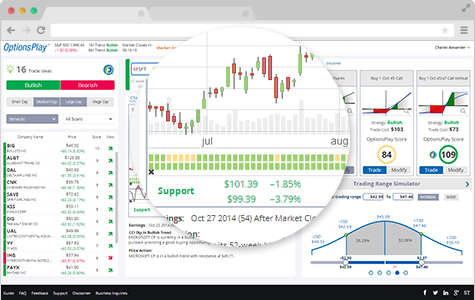 Compare any three trading strategies for any stock with ease. 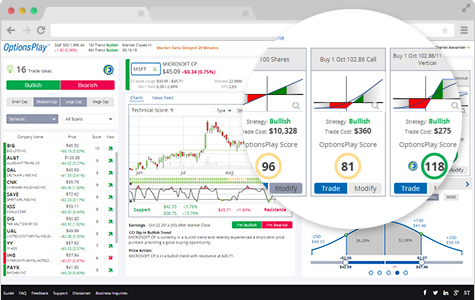 The proprietary OptionsPlay Score makes it simple to evaluate the risk and reward, probability of profit, and breakeven price for any trade. Build complex orders instantly and validate the trade using a unique strategy checklist. Trade signals and supporting technical data presented simply. Additional price action analysis, support and resistance levels, and trend indicators for any stock are easily identifiable to help your research and decision making. 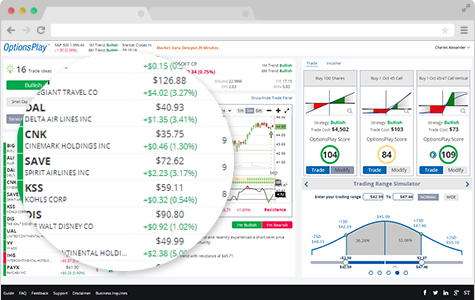 OptionsPlay can help you find the call series to write against a stock position, or the put to write as an alternative to purchasing stock based on analytics and your market outlook. OptionsPlay is a registered trademark in the United States.